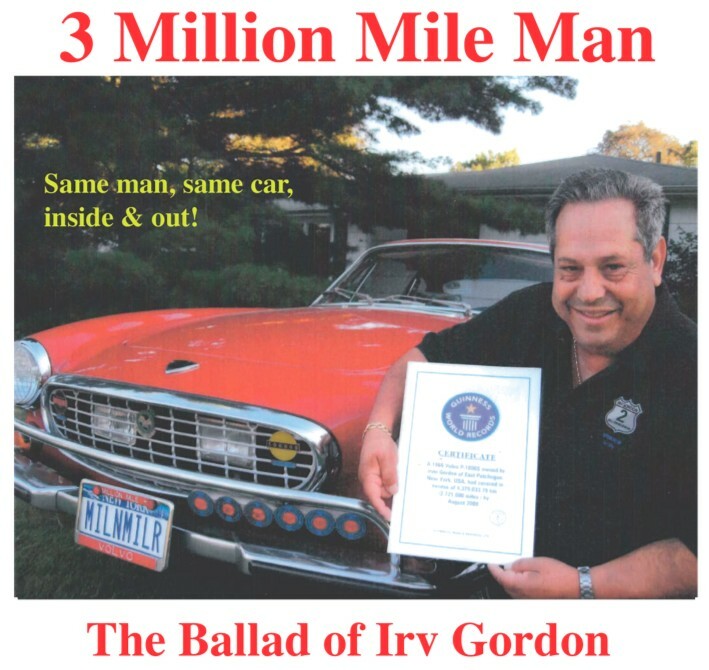 Another fun Volvo song, "The Ballad Of Irv Gordon!" New to using "custom ringtones"? Click here for a help document. 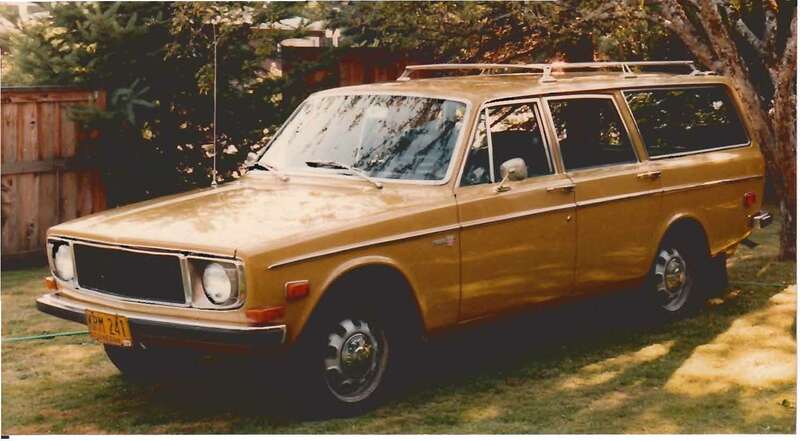 An Old Volvo is the definitive song for anyone who's had an old Volvo in their life. 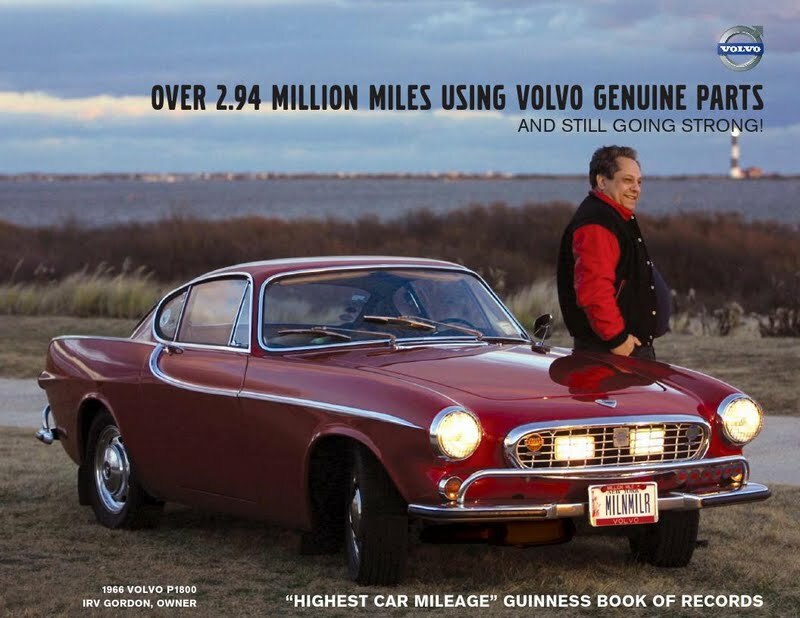 You might even be reminded of some of those great commercials Volvo has run in the past. 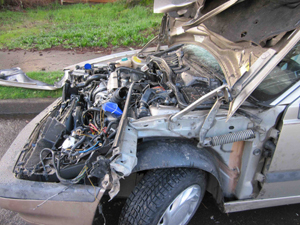 Owning an old Volvo is the quintessential "love-hate relationship"!! Although Volvo has never endorsed this song, when you Google "Official Volvo Song", this song is it! For more fun car related songs! 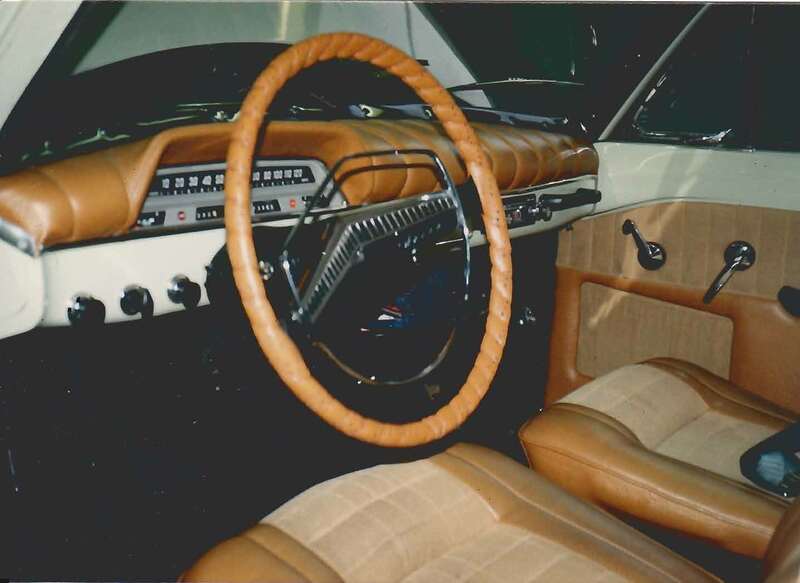 "Tune Ups, Tunings, & Car Tunes"
Once upon a time, (the summer of 1978) Tom met Ellen. 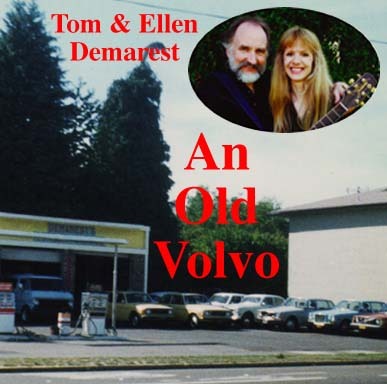 Several days later Tom met Fred, Red Fred that is, Ellen's trusty 1968 Volvo 142, shown in his later years on the label of this CD. 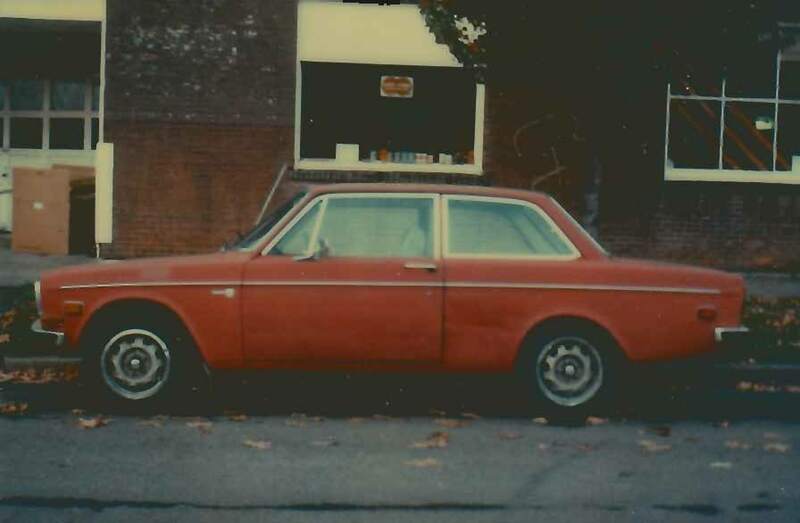 Previously, following Fred's second encounter with an unmatching bumper, Ellen's parents, long time Volvo owners, reached the conclusion that it would be a sounder investment to "deed ole' Fred" to their daughter rather than fund this latest restoration. Besides, "damsel in distress", you know it could be the means by which she might meet a suitable young beau off in that sleepy little college town of Corvallis, Oregon. Thus entering on the scene was not-so-young Tom, innocent of Volvos but with an interest in things mechanical (as many guitar players seem to be) and with a keen eye for a pretty damsel in distress, especially one with a beautiful voice. A year and a half later ole Red Fred became the unofficial dowry. 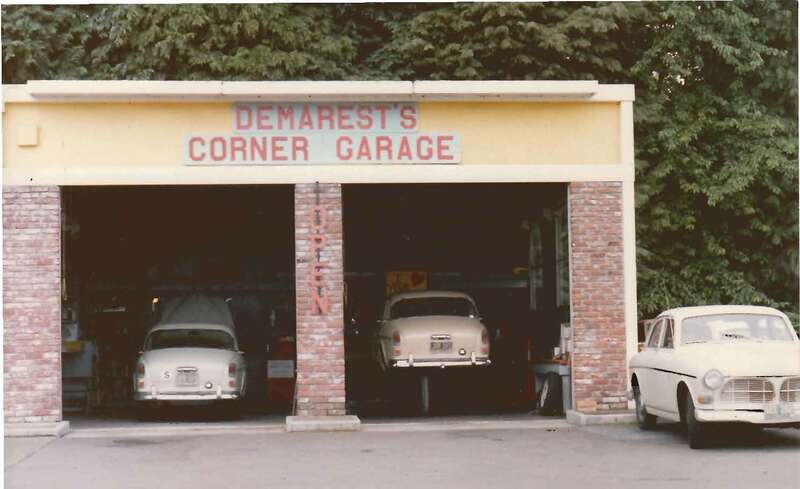 By 1984 Tom has become so experienced in the workings of the likes of Fred, a small business called Demarest's Corner Garage appears in the neighborhood to service the numerous Old Volvos which can be found in many college towns. Out of the chaos and cacophony which is inherent to an automotive repair shop, a song arises and is soon heard at the local coffee houses. 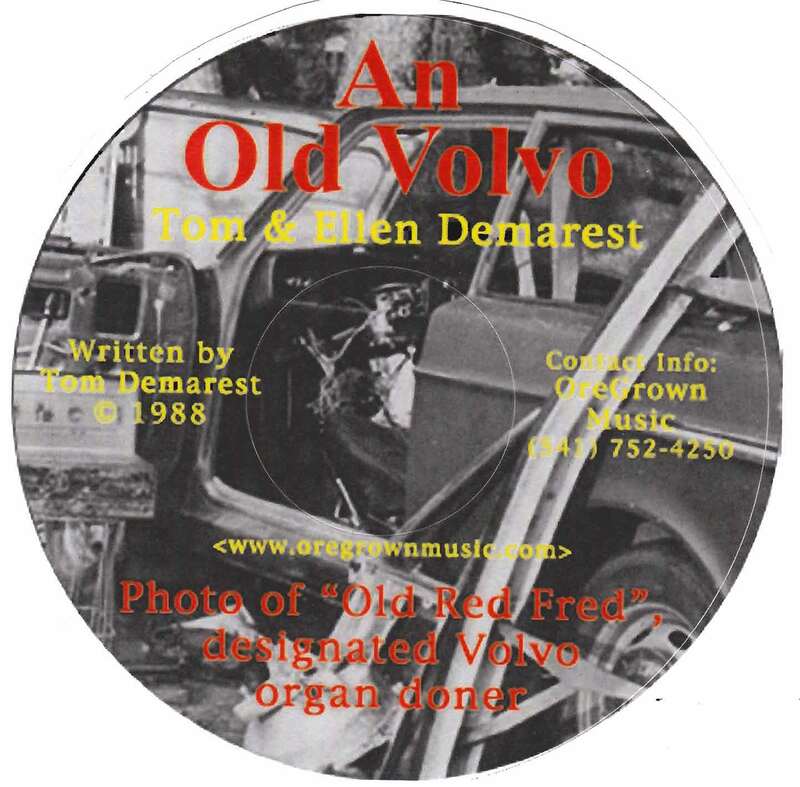 Shown as an old Volvo organ donor, Red Fred resides on our CD label. 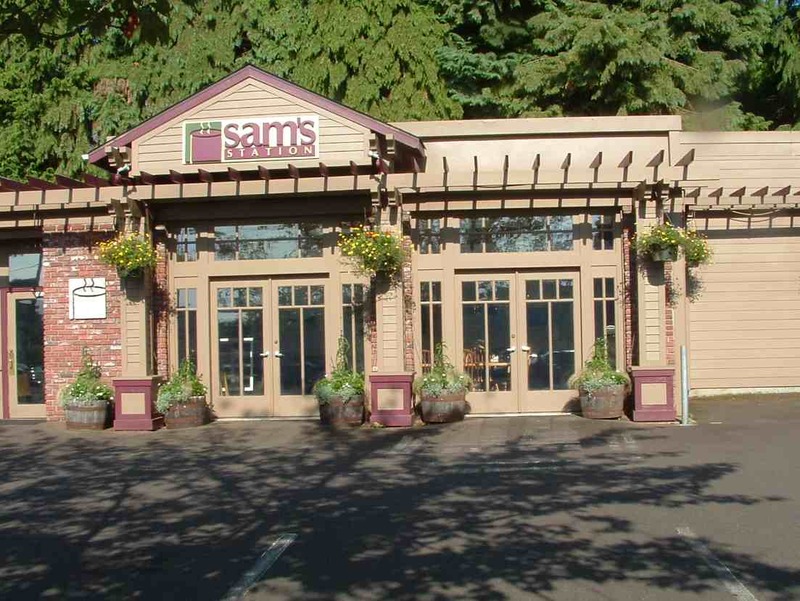 Well, the garage is now an espresso bar called Sam's Station, a wonderful improvement to our neighborhood. 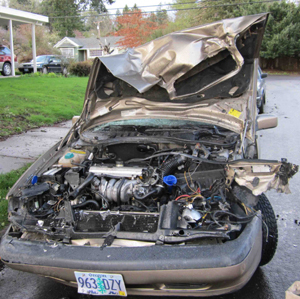 The only Volvos in our lives now are our own. 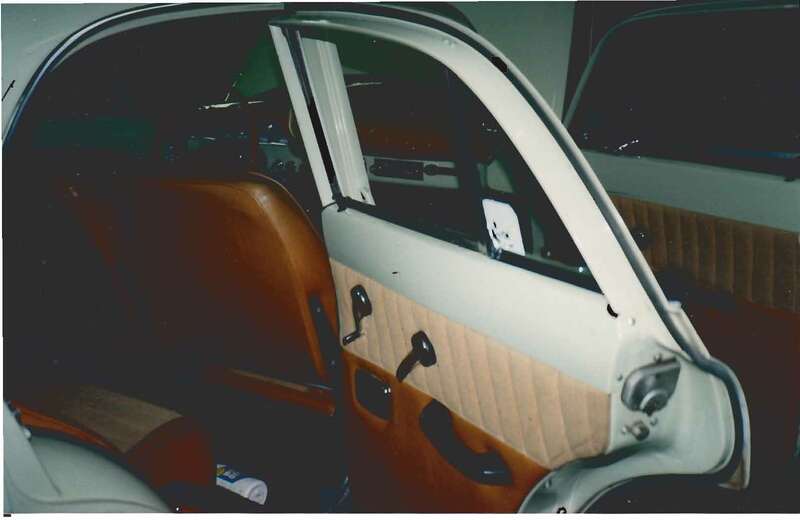 But the song lives on and if you've ever had the pleasure an old Volvo in your life, you will relate! It's rumored that the lifts are still there under the hardwood floor. 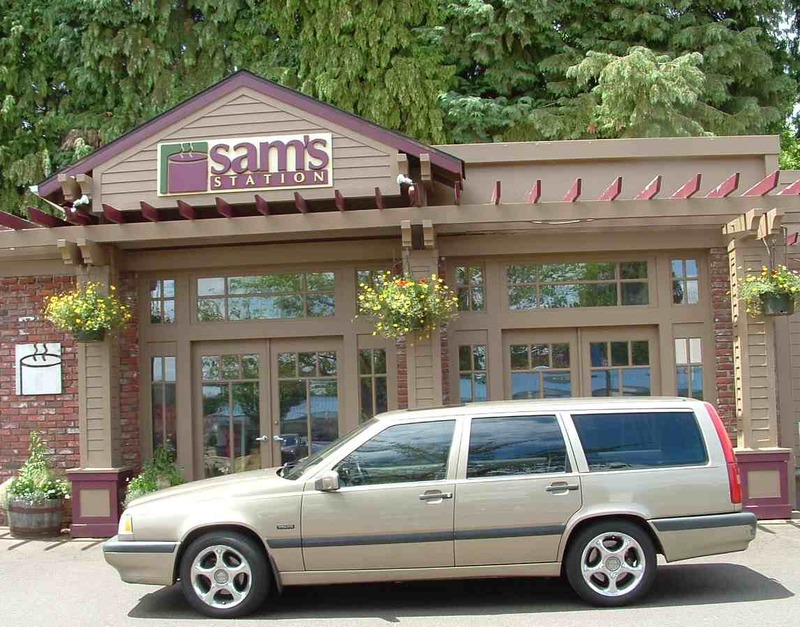 Some of the Volvos in our life. We've been dragged into the '90s by a '95 NT850. Too fancy for me!! 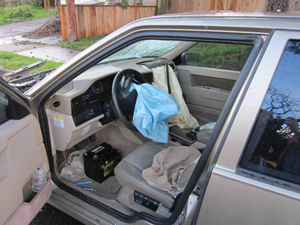 it's the Volvo that saved my wife's life! !